A beautifully built house needs something more than colored walls and use of metal and glass for doors and windows. It looks better if it is well decorated with some unique objects and pictures on walls are definitely the best way to make the home lively. Some combinations of well framed images on different walls of a house make it lovable to live in. In fact, picture hanging gives any room a more personal, intimate look. Today, in digital age, it is possible to obtain all sort of images with varying size, look and longevity. But it is always wise to fit frames in perfect locations to enhance beauty of the house and reflect the taste of those living in it. 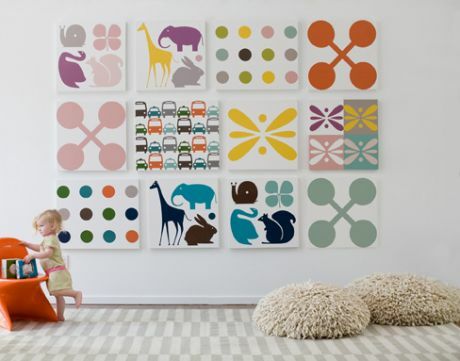 Going further on choice of wall hangings, first and foremost on our mind is naturally pictures of family and friends from different occasions like vacations, ceremonies, etc. The best places to fix these pictures are normally the walls where family members, relatives and some intimate friends can view these beautiful clicks. The walls in dining space and guest rooms are good for group photographs of different occasions. These pictures may be placed in a 2X3, 2X2 matrix or some different format. But the basic design aspect of keeping same gaps between all frames should be maintained and each frame should be of same size. Some personal pictures may be placed in bed rooms and keeping a beautiful family picture inside kitchen is not a bad idea either. Apart from regular photographs, images of abstract or classic art enhance the aesthetic value of the house. Nowadays you can find some good pieces of classic art that reflect a feeling of 3-D images too. Common corridors, balconies and living rooms can be adorned by these uniquely framed art pieces. Some good lighting like spot lights can multiply the effects of these creations. Entrance point of the house is the best place to fix a large piece of art framed with metallic-look frame. A lot of variations can be made in positioning these creative things with a deeper understanding on purpose and design aspects of the house. Decorating a part of wall with mirrors and other materials from nature like wood and metals are something special and at least one wall should be decorated using such ideas. A guitar-look frame or a frame that resembles a crab naturally attracts everyone who enters the house. Similarly, fixing some combinations of different shapes of mirrors on a kitchen wall or dining space can create wonders. With the help of etching or stickers, a mirror can be made beautiful to fit in a portion of wall. Proper installations with smooth edges should be taken care of, while fixing such delicate pieces. It is a fact that choice for wall hangings are endless and combinations of images and frames can make the object either look antique or modern. Considering the design aspect, a particular wall can be transformed to a different mode that speaks more on utility of that room. So, perhaps it’s time to think again to decorate your house with wall hangings in a new way. Thank you.